I had a blast photographing this fun portrait session at Lassing Park St Petersburg Florida for my dear friends who were recently married. Their oldest dog is 15 years old and have recently adopted their adorable black chihuahua, so it was important to capture images of their entire family! Their home is in the old Southeast Neighborhood of St Pete, so Lassing Park was a natural location choice for this summer pet portrait session. 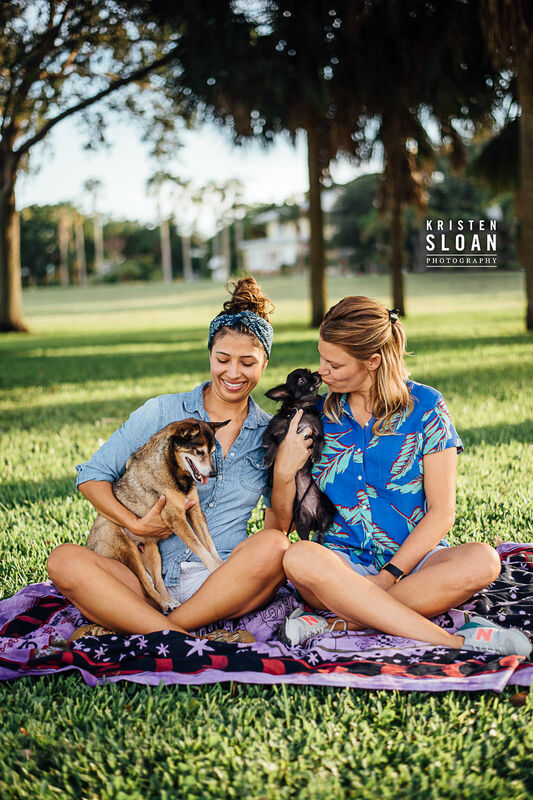 CONTACT SAINT PETERSBURG FLORIDA PHOTOGRPAHER KRISTEN SLOAN TODAY TO SCHEDULE YOUR PORTRAIT SESSION!